The world’s most iconic home furnishing brand IKEA is said to have inspired business leader Dhammika Perera to take control of Singer Sri Lanka Plc via the biggest listed corporate acquisition worth over Rs. 11 billion last week. 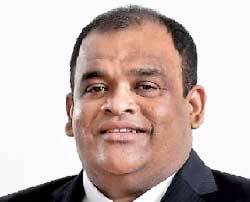 Similar to IKEA’s vision, Dhammika, the biggest shareholder and Co-Chairman of Hayleys Plc, is also keen to offer a range of home furnishings of good design and durability at affordable prices to Sri Lankan households. Singer styles itself as the leader in the consumer durables market, offering a range of imported and locally manufactured products ranging from washing machines, refrigerators, TV and mobile phones to sewing machines and furniture. Last year Singer Group turnover grew by 21% to Rs. 47 billion. Singer has a presence of 422 outlets countrywide, including 22 Singer Mega stores, 239 Singer Plus outlets, 18 Singer Homes, 78 satellite shops and 65 Sisil World outlets. As of last year, Singer had over 4.5 million household users and over 1 million online and mobile users. Via two subsidiaries - Regnis and Singer Industries - the group also does a considerable degree of local manufacturing whilst Group also has Singer Finance Plc. For Dhammika, the potential to serve more households is great and he intends to get aggressive via a mixed model of ecommerce and brick and mortar stores. “I am inspired by the IKEA business model and I see big potential via the Singer acquisition to serve more people better,” Dhammika told the Daily FT.
IKEA, which is the world’s largest retailer of furniture, kitchen appliances and home accessories, owns and operates 400 stores in 48 countries. In the fiscal year 2016, it sold € 36.4 billion worth of goods and its website has 12,000 products. Over 2,000 suppliers in over 50 countries manufacture IKEA products. The IKEA Group is a private group of companies owned by a charitable foundation in the Netherlands. According to Dhammika, in Sri Lanka the formal organised sector accounts only for 10-15% of the furniture and the balance comprises the informal sector, which points to the extent of the potential. “We may consider a mega IKEA type superstore and from the master catalogue of Singer, people can order their products online. We will deliver to the closest point via Singer’s 400-strong retail outlets. We will harness both ecommerce and traditional channels,” Dhammika added. Under Hayleys ownership, Singer Sri Lanka is expected to step up focus on bedding and sofas, and Dhammika is already on the lookout for suppliers to IKEA to explore a joint venture manufacturing facility in Sri Lanka. It appears that the thinking of Dhammika and the acquisition of Singer is more focused on fully maximising the potential of Singer rather than looking for synergies for Hayleys own retail business, which is very small from a group business perspective but is growing. On Friday, Dhammika and Hayleys Chairman and Chief Executive Mohan Pandithage, who described the acquisition as a “historic milestone”, addressed the directors and senior management of Singer Sri Lanka. The message to the Singer team was to come up with a new plan to reach a Rs. 4 billion bottom line figure within two years from Rs. 2.3 billion in 2016. Dhammika also believes the manufacturing subsidiaries of Singer have scope to enhance their profits. Hayleys, which is an export and manufacturing rich diversified blue chip, is best equipped to help Singer with regard to this challenge. In 2016, the Singer’s largest segment, Home Appliances, saw revenue increasing by 24%. Within this segment, refrigerator unit sales increased by 17%, washing machines by 13%, deep freezers by 22%, air conditioners by 57%, bottle coolers by 73%, air coolers by 29%, gas ovens by 14% and fans by 11%. The second largest segment, IT products, grew with revenue increasing by 40%. Within this segment, tablets increased by 105% and smart phones increased by 54%. Computers also increased by 10%; digital cameras continued to decline as the product is becoming redundant. The third largest segment electronics had revenue increasing marginally by 6%. While total television unit sales grew (as mentioned under key initiatives) there was a decline in audios, DVDs and home theatres. The sewing segment revenue increased by 9%; furniture segment revenue increased by 20% and ‘other’ increased by 19%. The manufacturing division of the company consists of the Agro and Furniture factories. The value of production increased by 24% over the previous year. The production of water pumps had a huge increase of 40% this year. Furniture production increased by 12%. The factory introduced 11 new models for furniture including products using paper laminated boards for the lower end of the market and products using high gloss board pantries for the upper end. Regnis (Lanka) Plc Group’s revenue increased to Rs. 4.8 billion, an increase of 15.5%. Net profit increased to Rs. 350.3 million, an increase of 2%. Refrigerator production increased by 21% as capacity was increased (as explained in key initiatives) and washing machine production increased by 17%. The Regnis Group’s increase in production, revenue and net income over the last three years led it to be listed among Forbes Asia’s 200 Best under a billion companies – one of three Sri Lankan companies to be listed. Singer Industries (Ceylon) Plc, which manufactures sewing cabinets and stands and assembles sewing machine heads, had a marginal growth in revenue. The company made a profit of Rs. 42.0 million, including a Rs. 24 million gain on change in fair value of investment property against a loss in the prior year. The loss in the prior year was due to the Voluntary Retirement Scheme.